I sourced a web texting service and modified template Python code to interact with our website. The code can send a text to a waiting party from a restaurant's queue when the restaurant is ready to seat them. The service allows customers to wander the neighborhood while they wait, avoiding frustration for both them and for seating hosts. 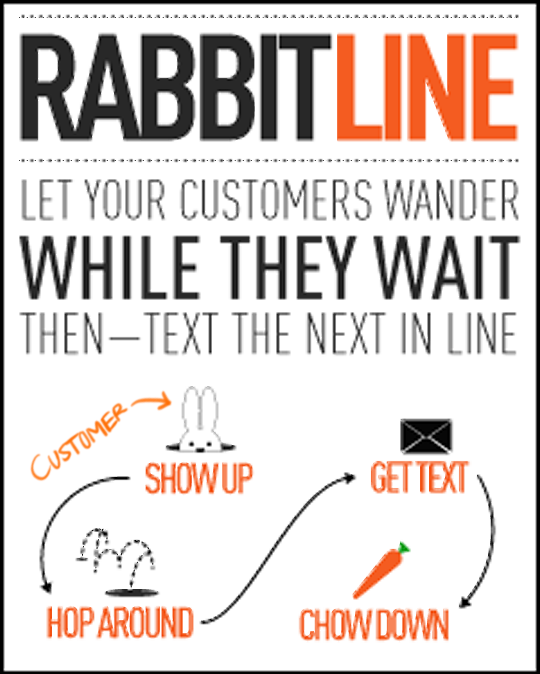 RabbitLine was the culmination of a group project for a Design and Development of Web Based Products and Services course at the UC Berkeley Hass School of Business.